We're still here, still, kicking, still chasing baby bunnies. 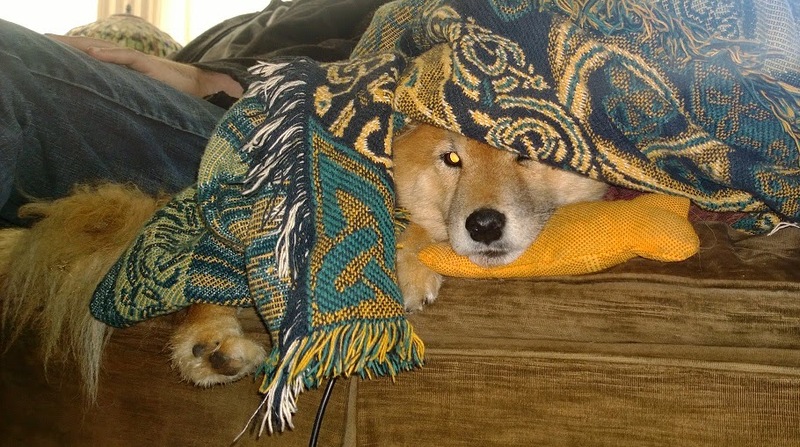 Our much adored shiba, Cool Hand Luke, went downhill fast after that last post - ending up in full blown congestive heart failure by the following morning. Bad enough that he had to be carried in, and the vet warned us he would likely not make it out of the office. Every damn test was negative, except for the x-ray that revealed hip dysplasia and a rather large kidney stone... But neither of those explained what was wrong. We never did find out what was going on, other than it appearing that he may have had a blockage. We took him home after he had been re-hydrated via iv, and stayed with him 24/7 for the next several days until he was able to eat again and perked up. Just as we thought we were out of the woods he relapsed and we were back to square one. We're repeating the same meds as before, and again he seems be to recovering - still not eating, but he at least attempted to capture a rabbit today. We think this may be the beginning of some sort of bowel failure, and hopefully keeping him on the prescription diet will keep him healthy for the time being. If you couldn't tell, that's not our house. It's been too frantic around here to even think about trying to clean enough to take photos. 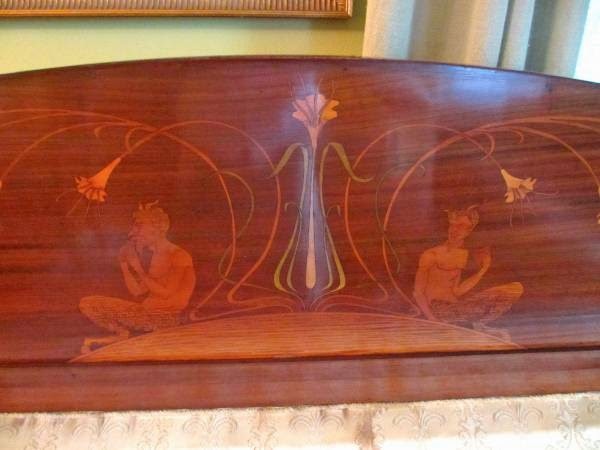 But if there are any secret Art Nouveau aficionados out there, I'd love to know what you think, a piece like this definitely had a maker, and I'd love to put a name to their beautiful work. I hope Luke is all right. Our dog is a member of our family and I know when he's not well it breaks my heart. Feel better! Thanks! Seeing his crazy little self in pain has been terrible, at least he seems to be feeling a bit better this evening. Thinking good thoughts for your doggy! The couch is beautiful. I hope Luke is feeling better soon! Thinking good thoughts for your lovely doggie. That piece of furniture is amazing. The people you bought it from didn't know anything about its origin? I read a lot about those eras and have never seen anything like it. Have you taken a look at the underneath and beneath the cushions for any kind of maker's identification? Thanks so much, he's eating, so yay!!! 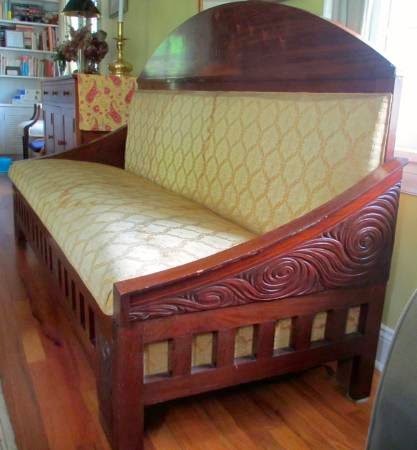 All the people we got the sofa from (who stipulated it stayed when they bought their new house) know is that the previous owners had bought it in Chicago. I crawled under it with a flashlight today, and found nothing... 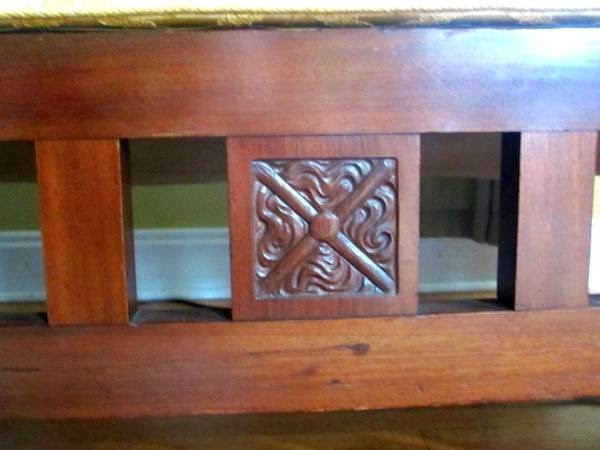 The inlay looks like any of the better makers from Europe at the time, but the carvings are confounding? 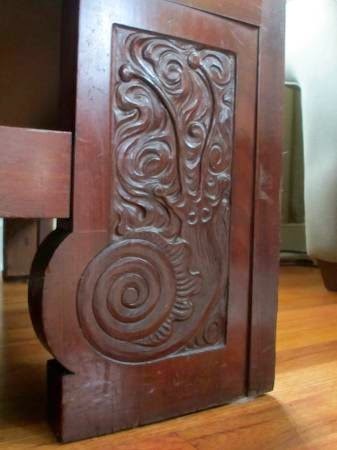 That sofa is really cool--I love the snails and the satyrs. Hoping that Luke is doing better. Our doggies (and, in my case, kitties too) are our furry family members and it's so hard to see them struggle. That sofa ended up being the bright point of a couple of hard weeks. Of all our critters, Luke has always been the indestructible one, so it's been hard to see him sick and weak like this. I can't tell you how many times I have found myself sitting in the floor, sobbing, holding a sick dog or cat, wishing desperately that they could communicate exactly how they feel and help me decide what to do for them. It's not something that they can do, and we just have to make the best educated guesses and follow the advice of the little voice in our gut. For what it's worth, there is nothing more important than sitting in the a/c and petting and pampering a dog that doesn't feel well. Is the sofa thing long enough to be a day bed? I really like it. Hope Mr. Luke starts to feel better soon! 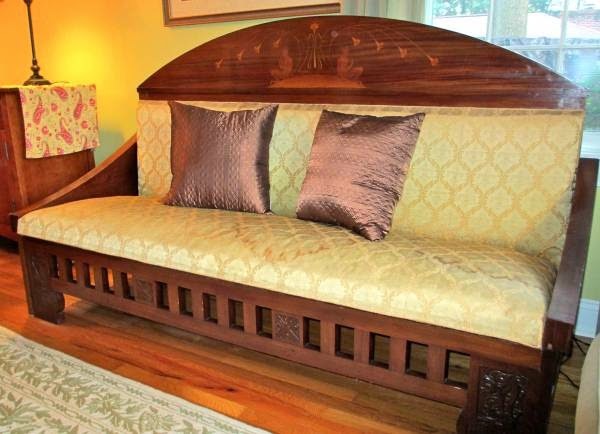 That day bed/ sofa/ bench is totally awesome! Please do a post on it again if you find out any information on it!